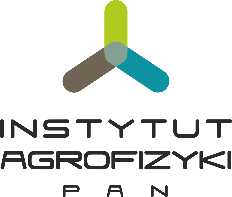 The 12th International Conference on Electromagnetic Wave Interaction with Water and Moist Substances – ISEMA 2018 will take place in Lublin, Poland, from 4 to 7 June 2018 and it is organized this time by Institute of Agrophysics, Polish Academy of Sciences and Foundation of the Polish Academy of Sciences. The International Society for Electromagnetic Aquametry (ISEMA) is an informal association of scientists and engineers from academia, industry, and government who are bound together by their common interest in the theory, technology, and practical application of electromagnetic measurements of water content in materials. The conference will provide an interdisciplinary platform for sharing experience and discussing latest scientific results in understanding, development and application of electromagnetic moisture measurement techniques. Electromagnetic determination of physical properties of materials and standardization of measuring methods. Moisture content determination and monitoring in soil, snow, agricultural materials, waste disposals and other nonhomogeneous materials. Progress in measurement instrumentation and methods of broadband dielectric spectroscopy. Electromagnetic sensors in time- and frequency-domain for moisture content determination. Theory and applications of electromagnetic mixing rules and formulas. Dielectric relaxation properties of water in heterogeneous materials, including biological substances and tissues. Applications of broadband dielectric spectroscopy in precision agriculture, civil engineering, industry, etc. Remote sensing for Earth’s water monitoring. Computational methods of electromagnetic wave propagation in dispersive and lossy dielectrics. Integrated techniques using RF and/or microwave dielectric measurements with other methods such as impedance spectroscopy, THz spectroscopy, Raman spectroscopy, infrared spectroscopy, NMR, etc. Konferencja dofinansowana w ramach zadania: Organizacja Międzynarodowej Konferencji – 12th International Conference on Electromagnetic Wave Interaction with Water and Moist Substances (ISEMA 2018) – zadanie finansowane w ramach umowy nr 878/P-DUN/2017 ze środków Ministra Nauki i Szkolnictwa Wyższego przeznaczonych na działalność upowszechniającą naukę. The conference is co-financed in frame of task: Organization of 12th International Conference on Electromagnetic Wave Interaction with Water and Moist Substances (ISEMA 2018) – task financed under contract No. 878/P-DUN/2017 from the Ministry of Science and Higher Education dedicated to the dissemination of science.